Place all the ingredients in a slow cooker and cook on high for 4 hours. Remove brisket from slow cooker and carve thin slices against the grain. Discard vegetable solids from the slow cooker, but keep about a cup of the broth. 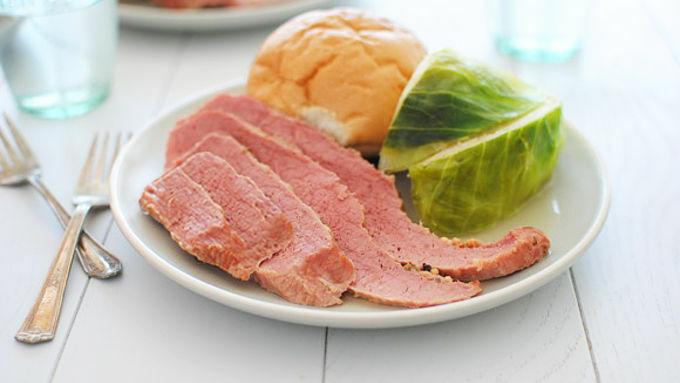 Serve corned beef with any sides you prefer. Lightly pour the broth over the beef. I'm gonna be honest with you. 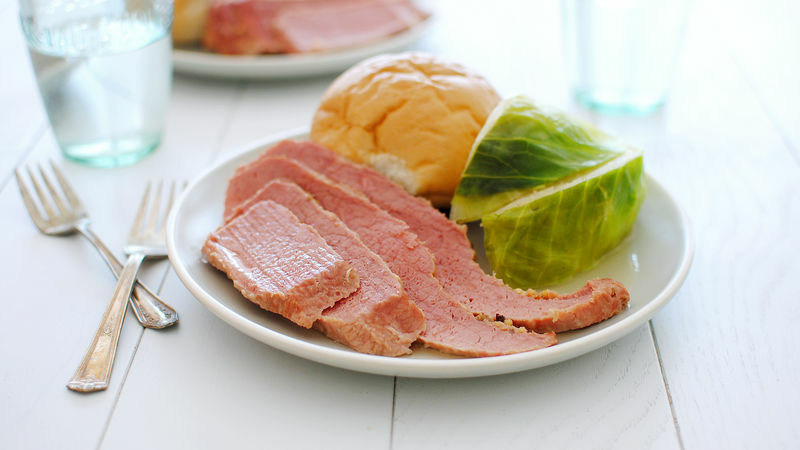 Before making this Slow Cooker Corned Beef, I'd only had corned beef one other time in my life. I have to tell you something else. Before this, I wasn't even 100% sure what in fact made corned beef corned beef. What is this corning process you speak of? And does it involve middle of the night leprechaun moon walking? Because I'm thinking it should. But seriously, any opportunity to eat something that is this good but so easy to make...where do I sign up! The cool thing about this beef of the corned variety, is that you buy it already corned! You don't have to corn jack. Corning = finito. I like that. You basically throw a bunch of stuff in a slow cooker and live your life to the fullest for the next 4 hours. I like that too. 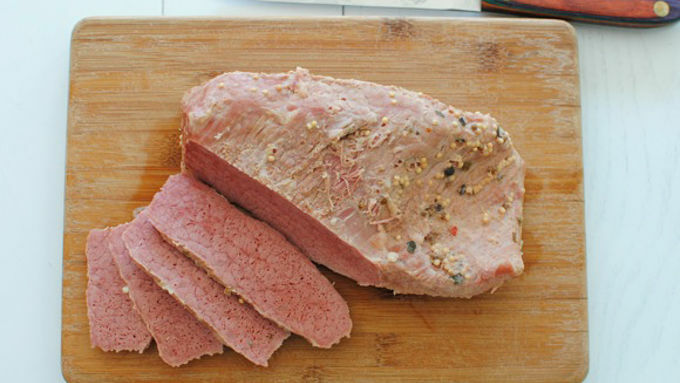 Serve the sliced corned beef with any sides you like! You can go the traditional route with cabbage and veggies. Or a roll. Or whatevs! It all works. Just remember to pour that broth over the beef. Yum! 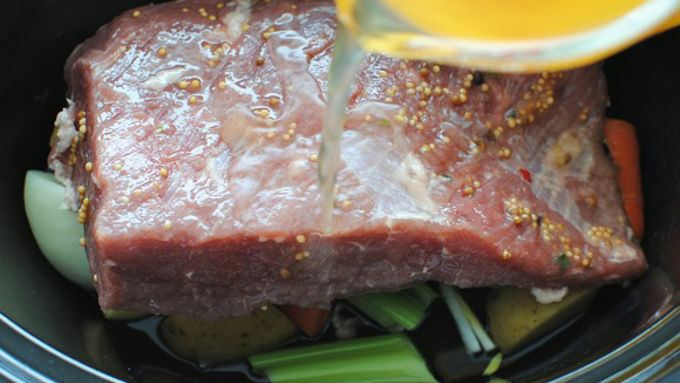 While I have you, here are some other awesome recipes that you can use the corned beef in!